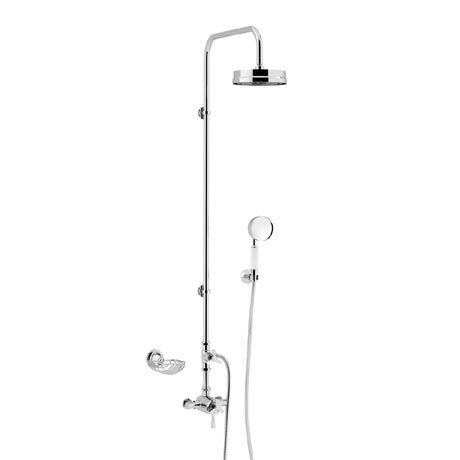 The stylish Gracechurch exposed shower features lavish and spectacular engineering to combine a luxurious rigid riser and a diverter to handset option. The elegant soap basket and deluxe handset complements the shower and give it a real statement piece. Quality assured by a 5 year guarantee.